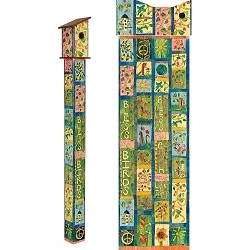 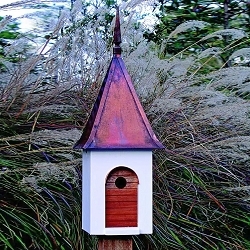 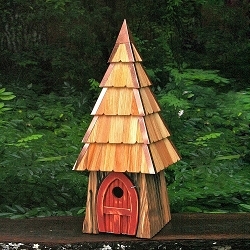 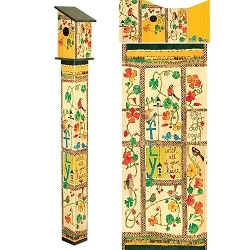 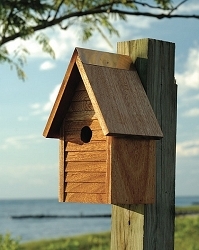 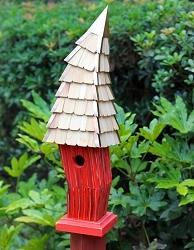 Attractive Bird Houses at a "Value" Price! 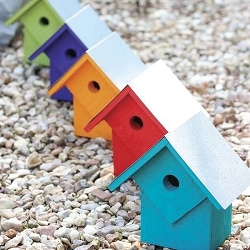 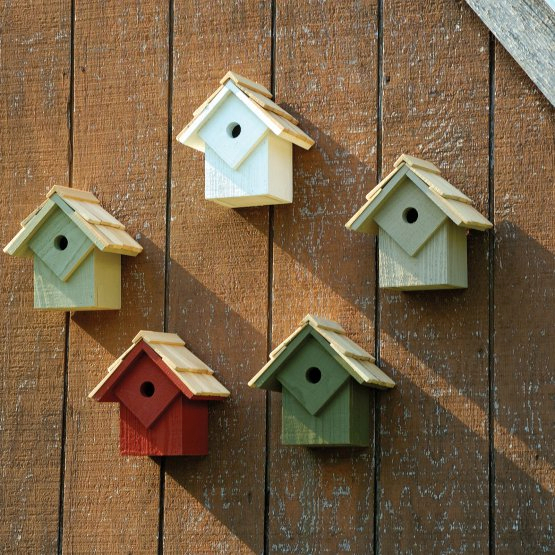 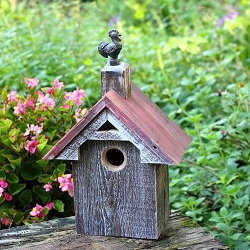 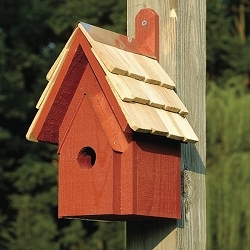 A snazzy little starter house for all bird lovers. 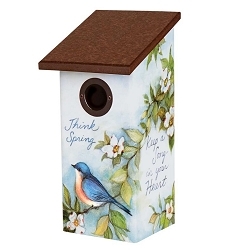 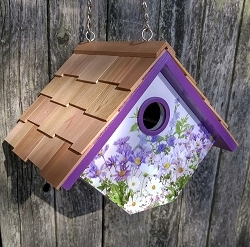 Will attract wrens, chickadees, nuthatches, titmice and many more of your favorite songbirds. 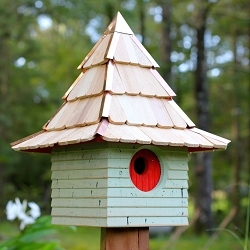 Select cypress construction with Heartwood's hand-cut and stone-washed shingle roof. 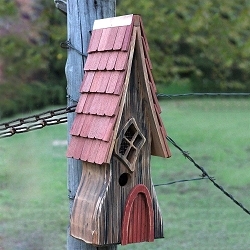 Reinforced front to discourage predation. 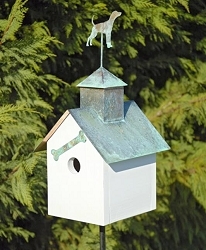 Copper covered cleanout door and metal hook for easy hanging. 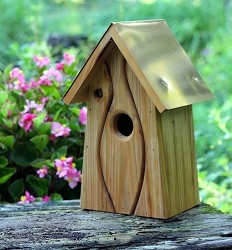 U.S. made, of course. 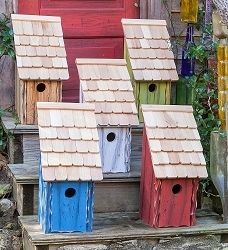 Sold only in a five pack, one each of the following traditional colors: whitewashed, pinion green, redwood , smoke grey, and celery.